China's sweeping overhaul aimed at closing regulatory loopholes and cracking down on manipulation (manipulation that isn't directed by some central authority, that is) continued apace on Thursday when the country's securities regulator unveiled fines against a Chinese logistics company, charging it 5.5 billion yuan ($870 million) for manipulating the local stock market. The fine is the largest-ever handed out for market manipulation, and is nearly six times the sum the regulator alleges was earned by the illicit behavior. Xiamen Beibadao Group was charged with manipulating the share prices of three Shenzhen-listed companies, Jiangsu Zhangjiagang Rural Commercial Bank Co., Jiangsu Jiangyin Rural Commercial Bank Co. and Guangdong Hoshion Aluminium Co., China’s securities regulator said in a briefing in Beijing on Wednesday. It later clarified that the unit’s parent, Shanghai-based Beibadao Group, was the manipulator. The penalty is almost six times what Beibadao earned by its actions, the watchdog said. Chinese authorities have been mounting a campaign to stamp out illicit behavior in the world’s second-biggest equity market, which is dominated by individual, often first-time investors. Liu Shiyu, chairman of the China Securities Regulatory Commission, said in February 2017 that he would pursue market malpractice and wrongdoing no matter whether it’s "historical or current." The crackdown comes at a crucial time for Chinese markets. President Xi Jinping cemented his grip on power this week after China's National People's Congress overwhelmingly passed a constitutional amendment to eliminate term limits. This established Xi as the most powerful Chinese leader since Mao Zedong. Maintaining financial stability is paramount to Xi, and to help him maintain his iron grip on domestic markets, rumor has it that Xi intends to dramatically expand the role of Liu He, a Politburo member and leader of the Leading Group for Financial and Economic Affairs. It's been reported that He, one of the country's top securities regulators, will soon add Chairman of the People's Bank of China to his long list of responsibilities. And with the US threatening to pull the rug out from under the global free-trade order (a paradigm that has greatly benefited the Chinese economy) safeguarding the country's massive debt pile is of paramount importance to the regime. And bank strategists who spoke with Bloomberg appear to be toeing the party line. "The fines will only get bigger and bigger as regulators step up the crackdown on market irregularities, and it’s likely we’ll begin to see similar cases being exposed more frequently in the future," said Yin Ming, vice president of Shanghai-based Baptized Capital. 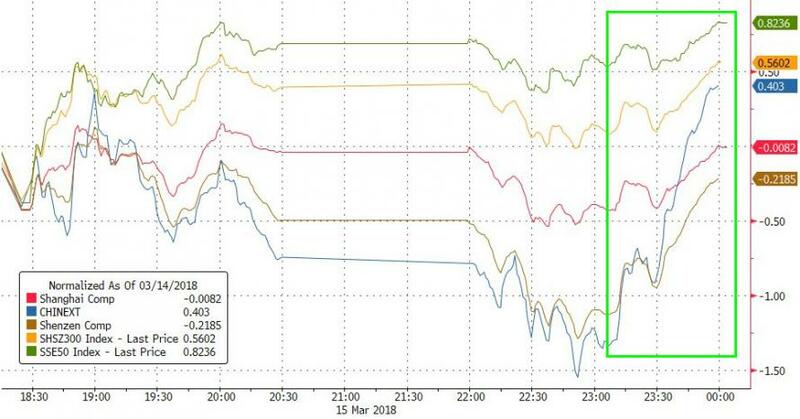 "It’s a signal to market participants that violent share moves and speculative trades are prohibited, and it’s always the authorities’ priority to maintain a stable market." In the past, when there was illegal activity in the capital market, the fine was just hundreds of thousands. The cost to violate the rules was so low," said Hong Hao, Hong Kong-based strategist at Bocom International Holdings Co. "Going forward, as long as there is a similar case, I think the regulators will continue to charge huge fines." Readers may remember late last year when a bout of unprecedentedly low volatility (which just happened to coincide with the Communist Party's National Congress) did more to ward off small-time investors than any individual trader or (or corporate trading desk) ever could, as we pointed out late last year. "I’m out of the game," said Gu Yuan, 34, an information-technology worker in Shanghai who sold almost 70% of a portfolio worth 600,000 yuan ($87,336) after the 2015 market slump and pared down some more this year. "It is more difficult to identify strong tech companies or convincing investment themes since the crash." 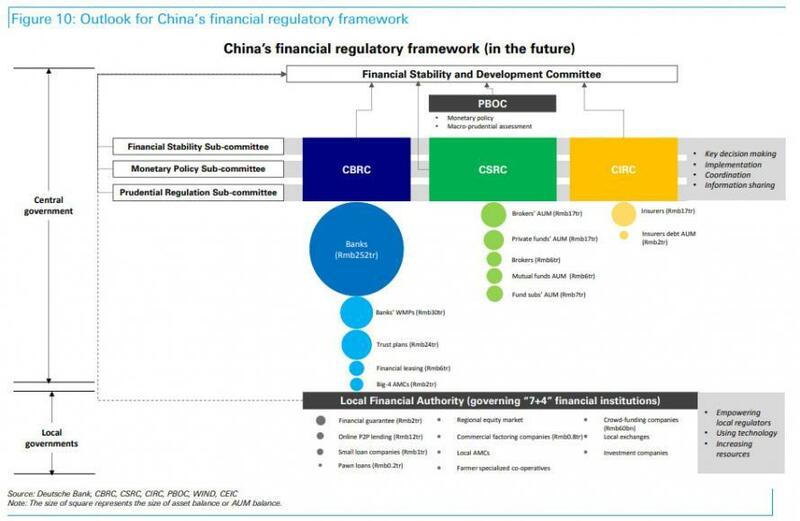 Hopefully, the target of these penalties can at least appreciate the irony: The CSRC late last year essentially declared that the local market had become more efficient as a result of regulators' manipulation.